Scott Treadway, a driver who had worked for UPS for over 30 years, was killed in yesterdays horrific crash on the five freeway in Commerce. 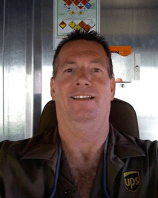 Scott Treadway “was admired and loved by his friends and co-workers at UPS,” Teamsters Local 396 wrote in a Facebook post. Street racing was being blamed for the crash that left three people dead, four injured, and shut down the highway in both directions. Deal Lockhart, 35, of Whittier, identified as one of the suspected street racers, and officials are contemplating the Watson Law as prosecution, which could bring second degree murder charges. Santa Clarita resident Michele Littlefield and a friend were killed, they were coming home from a day trip to Disneyland. Is Scott Treadway, related to the former owner of ReMax College Park Realestate, in Long Beach, by the Los Coyotes Diagonal? For the past two decades, if anybody lives adj. to the 91 freeway, in the area of La Palma- Cerritos, many many nights, you can hear drag racing both east and west bound around 2-4am. Seems like Cerritos has a few residents who own Maserati s and Ferrari s, as you can see them racing around the city in the evening hours. Industrial Park in Cerritos is a prime area where a lot of drag racing are taking to the street. UPS location is prime E/W racing areas.